I came up with this recipe as part of my food writing project on breakfast (quite possibly the best project ever) and I’ve finally got round to sharing it on my blog! It combines sweet shredded pear with the restorative warmth of fresh ginger, to give your morning porridge a kick. I like to top mine with pecans and a drizzle of agave. If you like gingerbread, you’ll love this. 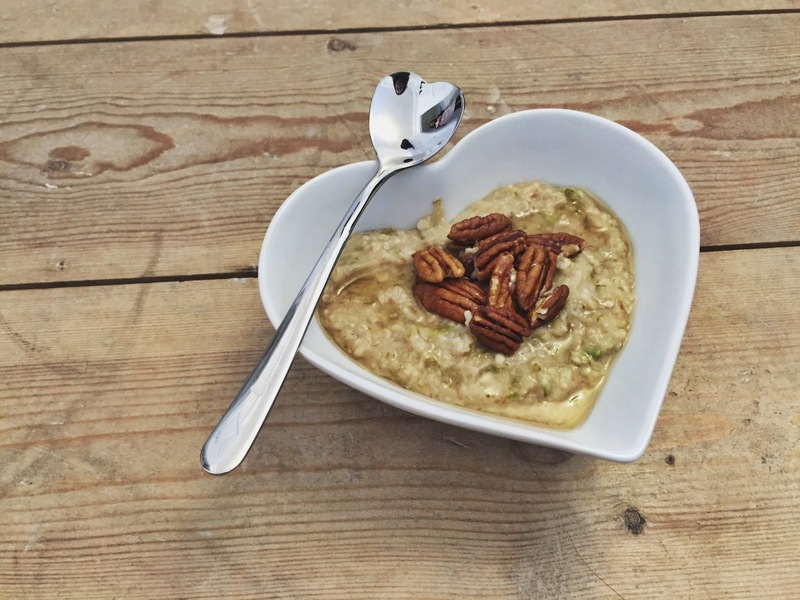 Sweet and warming porridge made with grated pear and ginger to warm you up in the morning. Place the oats, almond milk and sea salt into a pan over a medium heat. Simmer for 4-5 minutes, until the oats are tender, before adding the grated pear and ginger. Stir well, then simmer for another 2 minutes until creamy and thick. To serve, drizzle with agave nectar and scatter with pecans.